It has a repeating ring to it doesn’t it! 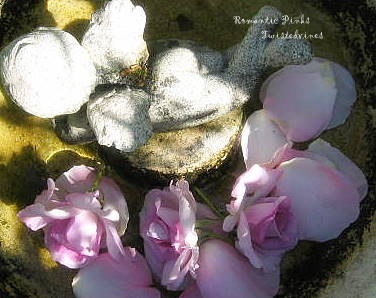 A beautiful Spring morning here in the country and just a little time to smell and pick the roses. And so joining in another Pink Saturday, I thought I’d style a couple of Spring photo shots with a little romantic flow to it. 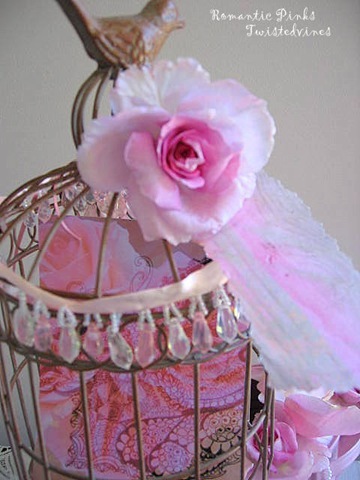 Rose petals, pearls, lace and pink….a little romantic pink! 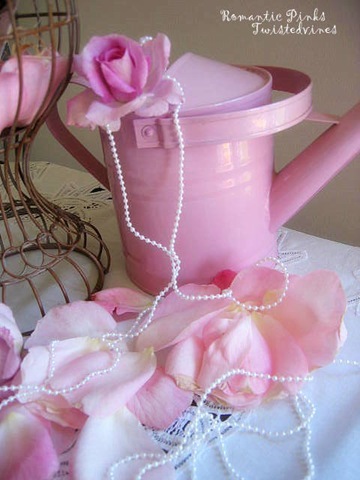 Happy Pink Saturday friends…linking to Beverly’s Pink Saturday at How Sweet the Sound. Pretty in pink for a sunny Spring day. Ours was a crisp, sunny Fall day with more ahead for the weekend. Can’t have one without the other. The wonderful thing about the changing seasons you can find something wonderful in each and every one.Natures way of keeping us on our toes..!Enjoy your weekend! 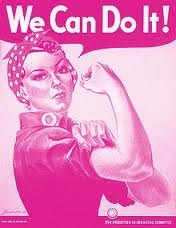 Thanks for following and stopping by pink saturday. 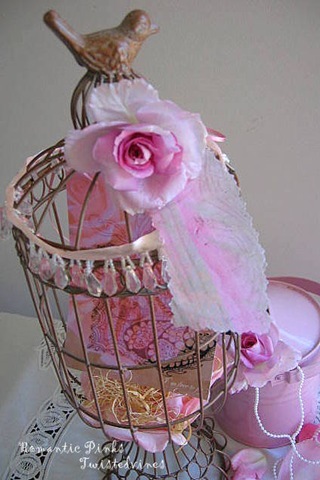 I thought I’d add a little romance in my pinks today. Perfect words for your lovely pinks. …There are so many wonderful quotes…Andrew Dunbar’s quote was written on the Chiroprator’s blackboard outside the studio this week…I just love it and it made me think…the gift of happiness belongs to those who unwrap…happiness is certainly a gift..! 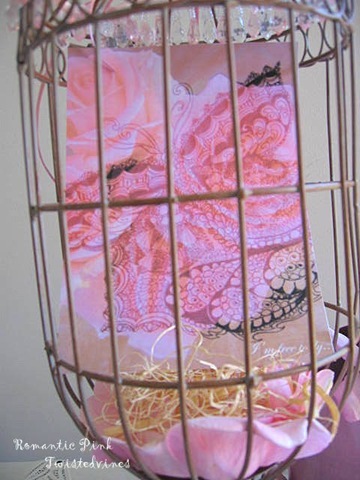 Thanks for calling by and leaving a comment…all in the fun of Pink Saturday! 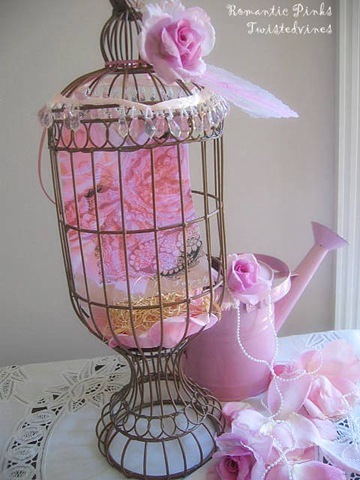 Lovely and romantic, perfect for a pink Saturday. Yvette, happy spring to you and pink Saturday! Your photos carry the breath of Spring and the delight of its promise. 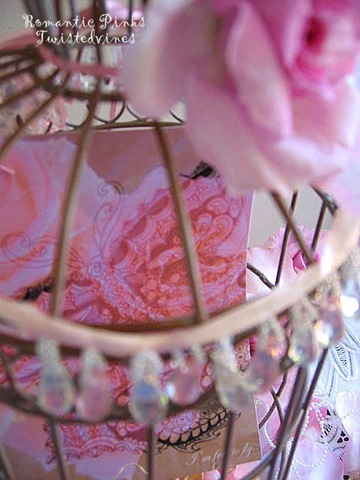 Enjoy every moment of its pinkness and fragrance, warmth and tenderness. You deserve it. Pink perfection! 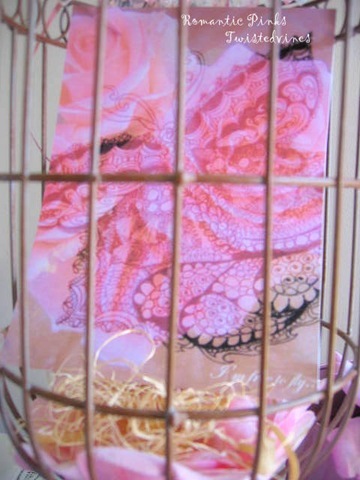 Very pretty post, Yvette! Love this romantic pink photo shoot! Your photos are beautiful and the sayings on happiness are very inspiring. Hi Yvette~ I tend to forget about our opposite seasons~ we’re in the arms of Fall while you’re embracing Spring! 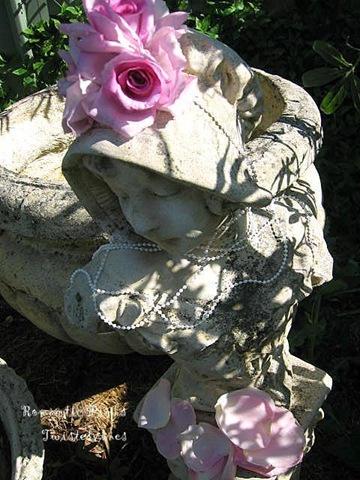 Love your garden bust draped in pearl, pink petals & all the shadow play! Enjoy your season! Lovely photos and a reminder of spring to come in the midst of our autumn. Happy Spring to you! Yvette, thanks for leaving a comment on my blog. It led me to find your blog which I just love. Your pink is just amazing and I’m coming back to read recipes. Your roses are lovely here. Just the perfect amount of soft and dreamy!